In the Project Explorer view, select your project. Select Run > Debug Configurations… . 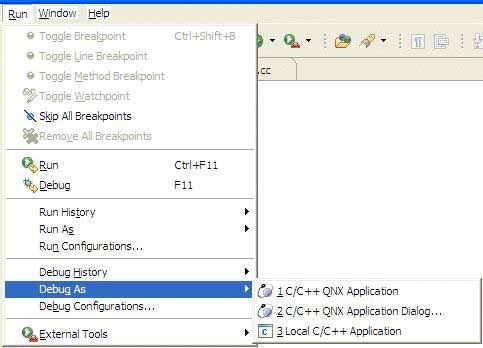 Typically, if you're connecting to your target via IP, you can select C/C++ QNX QConn (IP). If not, see the Types of launch configurations section in this chapter before deciding. Note: You can't create a local debug session with the QNX GDB Debugger. 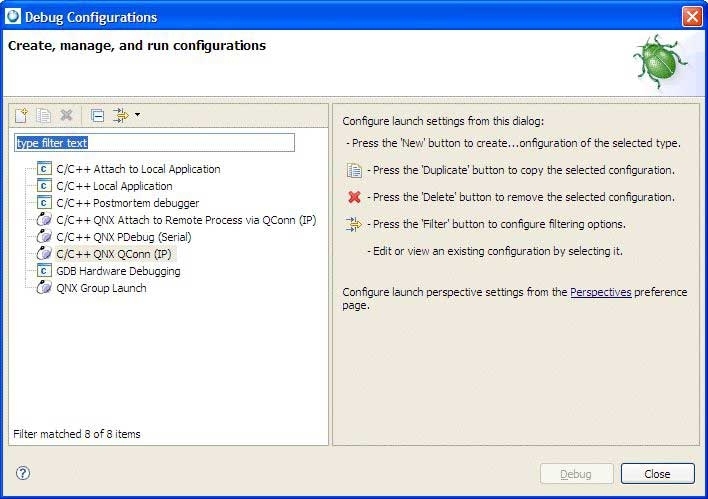 This debugger is available only on qconn for postmortem debugging. The dialog shows the various tabs for the launch configuration. In the Name field, type a name for the configuration. Fill in the details in the various tabs. For details about each tab, see the Setting execution options section in this chapter. 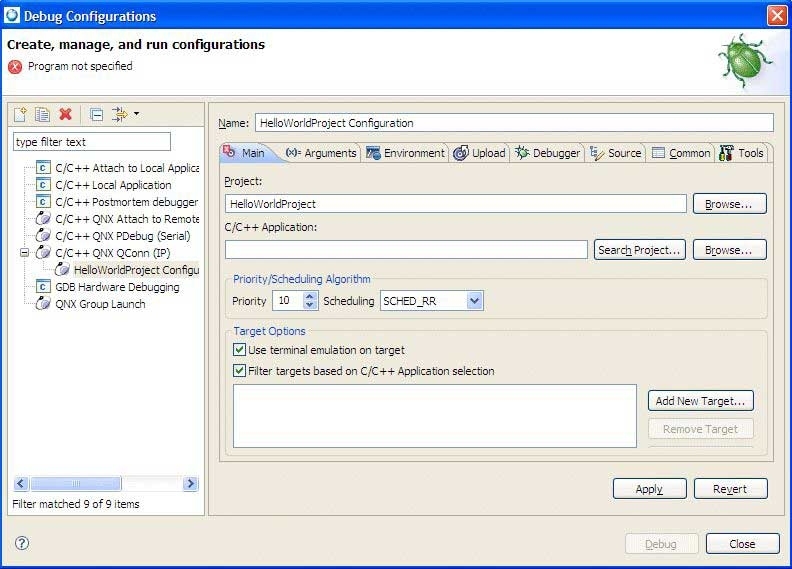 Now, you can run (launch) and debug your program.